Promises West Los Angeles is committed to providing hope to individuals struggling with substance abuse issues. 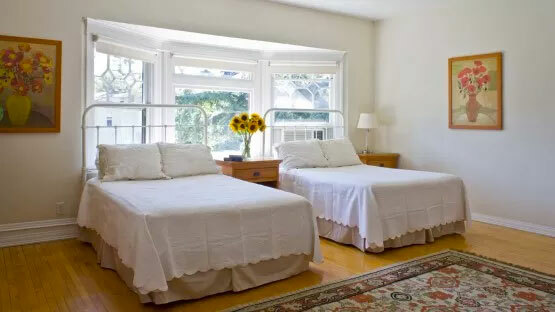 The residential drug and alcohol rehab offers a caring and compassionate environment for recovery, as well as a superior staff-to-client ratio and an intimate, home-like setting. Clients learn how to confront addictive behaviors, developing healthy coping skills and prepare for a sober lifestyle filled with challenge and opportunity. Clients are invited to participate in an innovative music therapy program designed to engage creativity, explore untapped talents, and develop positive coping strategies. Directed by a professional musician, each session includes musical experimentation and guided instruction as desired. Clients select the musical instruments of their choosing and work together to establish a beat, compose lyrics, and perform their original creative works! Nestled between Beverly Hills and the Pacific Ocean, Promises West Los Angeles provides a tranquil, home-like environment for individuals working towards recovery. Promises West Los Angeles is conveniently located in an upscale westside community next to the University of California, Los Angeles and a variety of prominent urban landmarks and amenities.